Introducing the most flexible compact cook system available. A griddle top for pancakes or panini sandwiches reverses to a grill surface for burgers or portobellos - or functions as a stove for boiling water and sautéing. 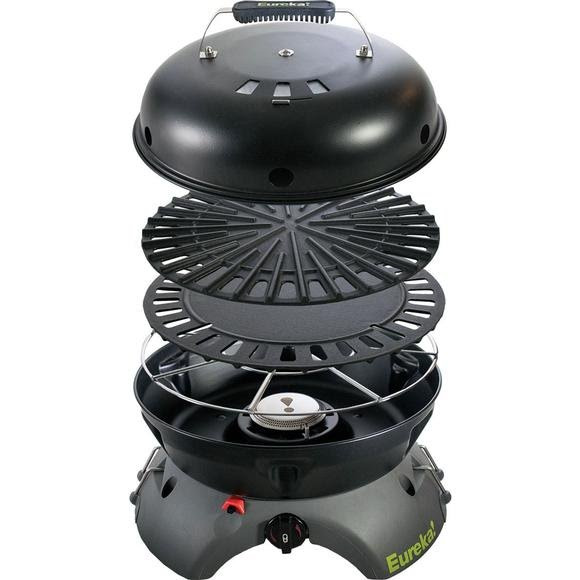 With a cast iron cook surface, advanced simmer control and a JetLink port, you can add additional Eureka! and Jetboil stoves to cook anything, in any landscape.